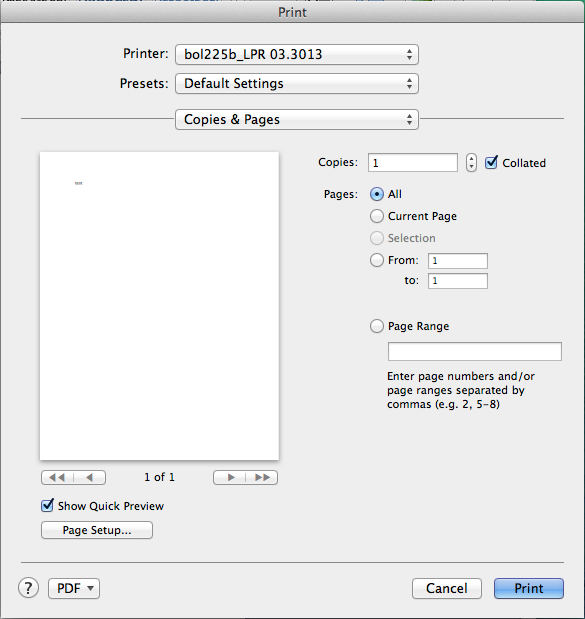 This article aims to assist university employees with altering print settings on a university-owned Mac computer in order to print double-sided on leased printers. 1. 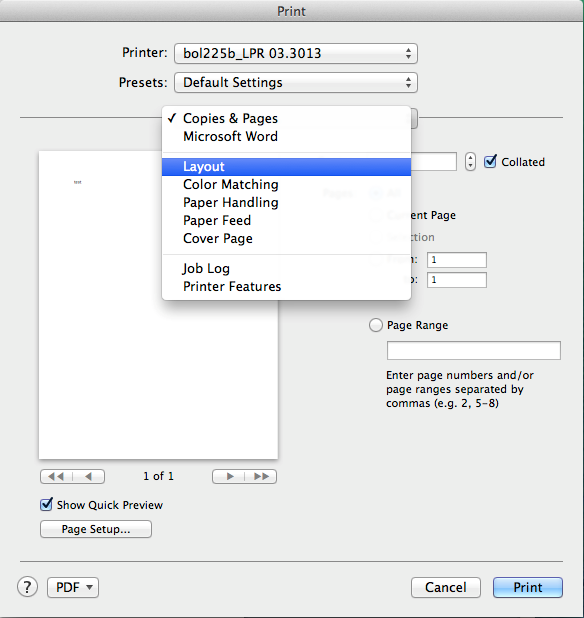 In order to get to the settings page for double-sided printing, open a Word document (or any other document that you desire to print), choose File, and select Print. NOTE: Pressing Command and P simultaneously should also pull up the following screen. 2. Click on Copies & Pages and select Layout. 3. 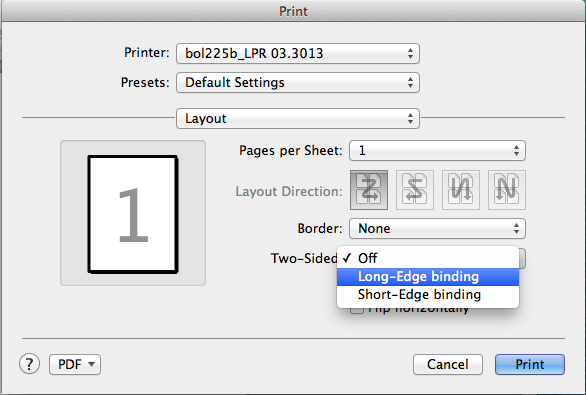 Under the Two-Sided: option, select your desired print option. Long-Edge binding turns pages like a book.